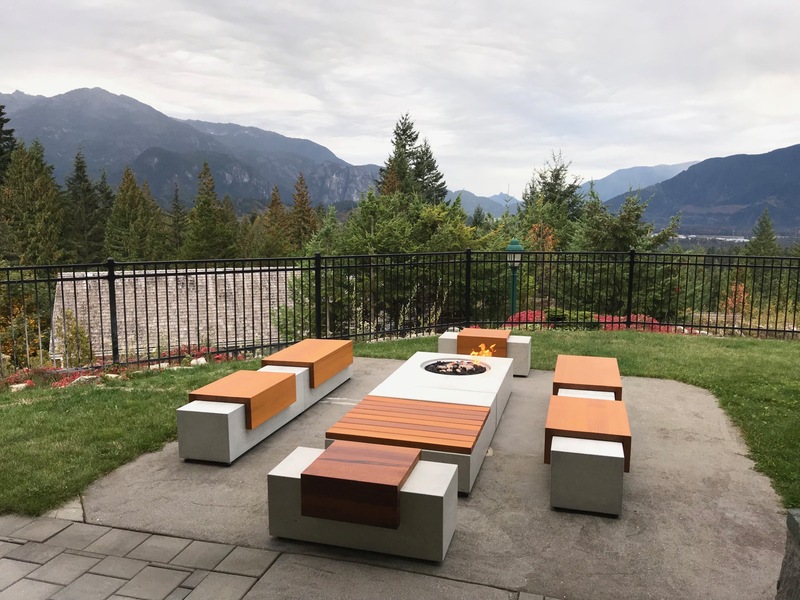 Sticks and Stones are a custom, contemporary concrete and wood furniture manufacturer based in Squamish, BC. Over the years, Sticks and Stones have established a reputation for producing innovative, unique, and high-quality designs, by integrating a combination of wood and concrete. The company’s distinctive production is in part due to their strong belief in local sourcing of talent and materials, which are predominantly drawn from British Columbia. Their products span from signature firepits and outdoor living products, to wine cellars. In January, Sticks and Stones began a new chapter under the direction of Ciaran Donnelly. Donnelly, recently hailing from Ireland, has a background in civil engineering and spent years operating companies in the concrete industry. Upon moving to Canada, Donnelly had no intention of acquiring a business; however, after having purchased a table from the previous owner, an opportunity for involvement presented itself. Upon conducting more in-depth research, Donnelly realized that Sticks and Stones is a company that has excellent potential for growth, in part due to their profound commitment to using local sourced materials, as well as their one-of-a-kind designs. Donnelly also cited that the operations backdrop of the picturesque Squamish, BC, did not hurt his assessment. Donnelly appreciates that Sticks and Stones’ competitive advantage is their unrelenting motivation to innovate and create unique products. The organization has backed up their proclamation for improvement by investing in workshop facilities and production techniques. They have also recently fortified their technical abilities with the investment in Fusion 360, a 3D software tool that streamlines the entire product development process. If you would like to see a variety of Sticks and Stones’ innovative products for yourself, you can do so in their showroom located in downtown Squamish, and open to the public Monday through Friday. Want to know more about Sticks and Stones? You can check out their website at sticks-and-stones.ca, view their photos on Instagram @sticksstonesfurniture, and keep up-to-date with them on Twitter @ SticksStonesCan. For more information, feel free to contact Ciaran Donnelly directly at ciaran@cidon.ca.